The death of Nipsey Hussle is still a hard pill to swallow. A lot of people, whether it's fans or people in his own community, are still in disbelief over the news. The rapper was shot and killed outside of his Marathon store on Crenshaw in Los Angeles in broad daylight, suffering multiple gunshot wounds. 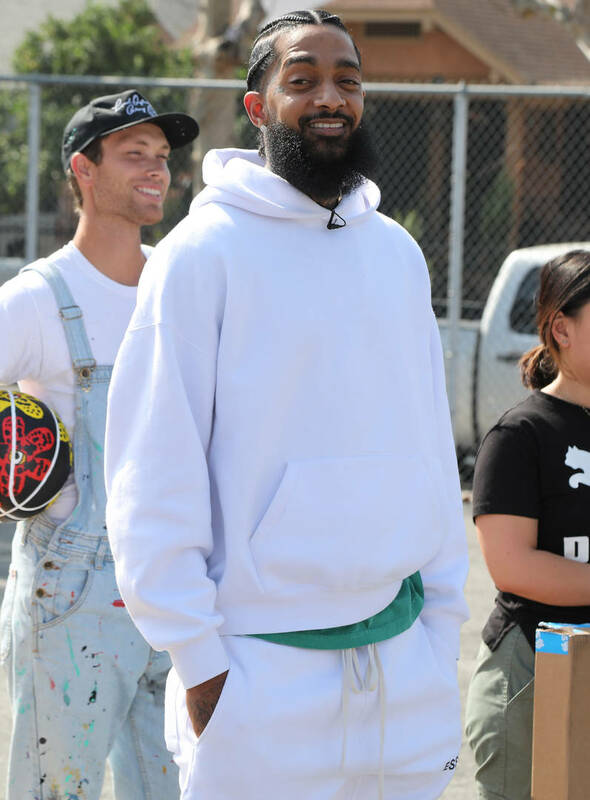 According to The Blast, the Los Angeles Medical Examiner has determined that the rapper's cause of death was from "gunshot wounds of the head and torso" after Nipsey underwent an autopsy earlier today. Officials also determined that Hussle's recorded time of death was at 3:55 p.m. Initial reports from police claimed they believed the attack was "gang-related" but that seemed like an easy explanation of his death. The rapper has previously spoken about his gang-ties in the past, in both his music and interviews. New reports suggest that the attack on Nipsey wasn't from anything gang-related but police believe “It’s someone he knows,” saying the motivation appeared to stem from a "deal gone wrong" rather than a hit placed by a "rival gang." Following the rapper's death, the LAPD commissioner revealed on Twitter that Nipsey, along with Roc Nation representatives, was supposed to meet with police officials to discuss the ways he could curb gang violence in his neighborhood. Police investigation on Nipsey Hussle's murder is still ongoing.